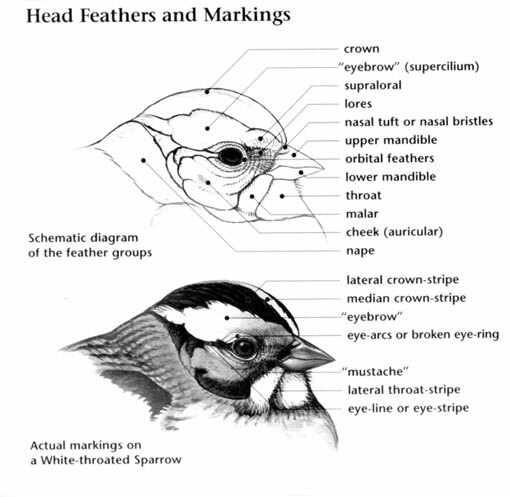 Crown Color: Brown to gray-brown streaked. Forehead Color: Buff to gray or brown. Nape Color: Buff to gray or brown. Throat Color: White, with orange-brown streaking. 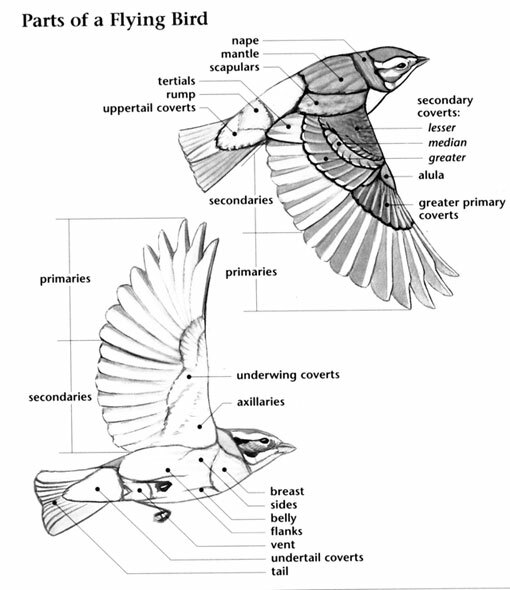 Underparts: White, with brown to black mottling. 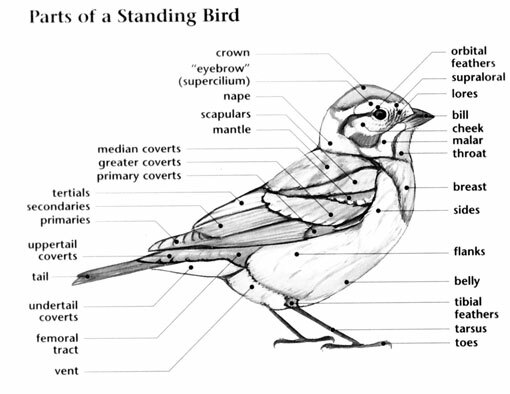 Upperparts: Gray to brown, with variable buff, red, and black. Flight Pattern: Direct flight with rapid wing beats. Upper Tail: White with dark central stripe.